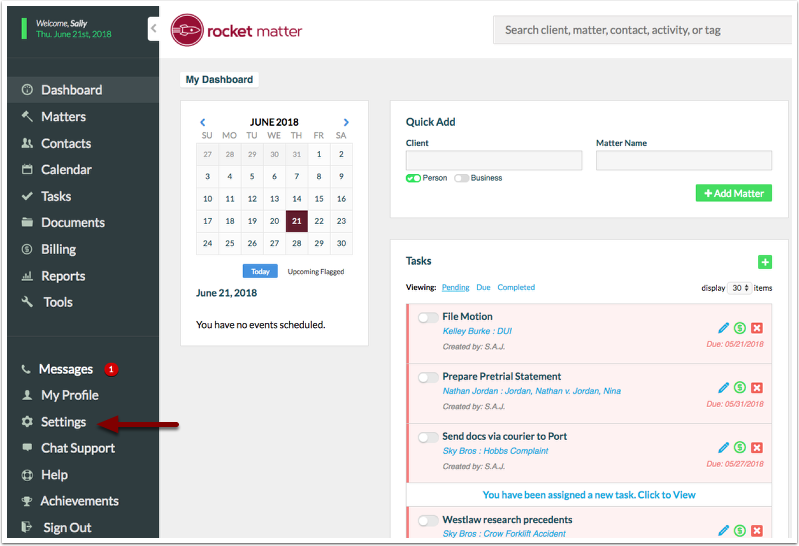 Rocket Matter Knowledge Base Custom FieldsHow to add a Client and Matter Custom Field for all matters. 1. Go to 'Settings' on the left-hand navigational panel. 2. Select 'Manage Custom Fields'. 3. 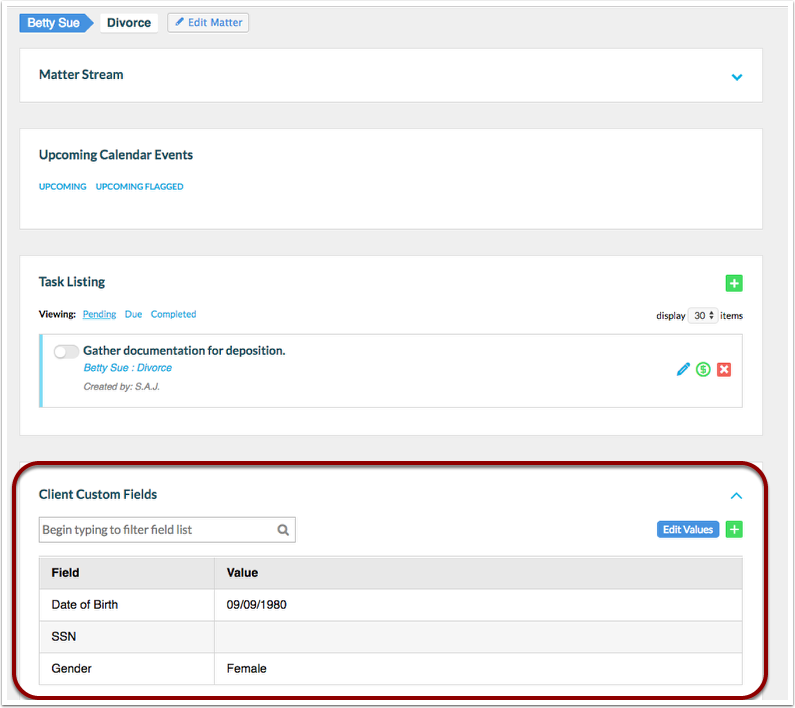 Click the green 'Add Custom Field' to add a new Contact or Matter custom field. When finished, click 'Ok' in the bottom-right corner of the page. 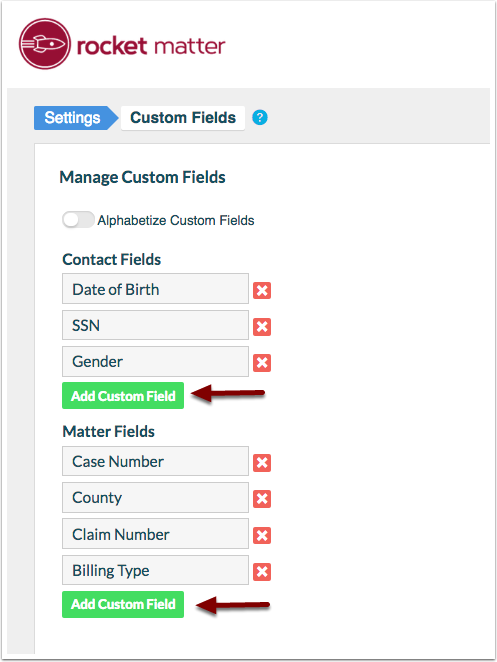 *Contact Custom Fields: These fields will appear in all contact/client records and on every matter dashboard. These fields will persist for all new matters for this client as well. 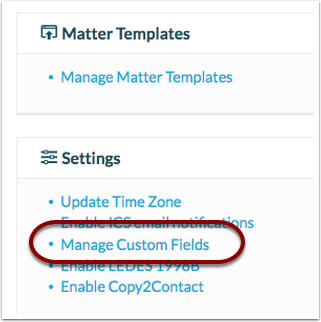 *Matter Custom Fields: These fields will appear on every matter dashboard and will persist for all new matters. Prev: How to create a calendar event while chatting about a specific date. 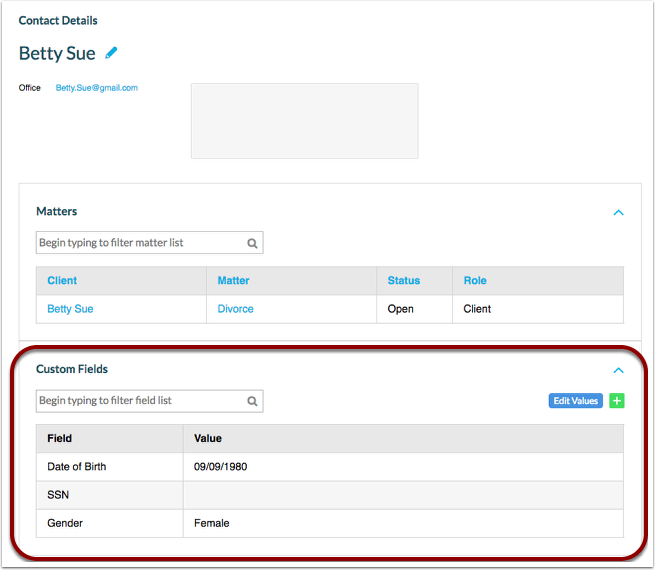 Next: How to add a Matter Custom Field for a single matter.